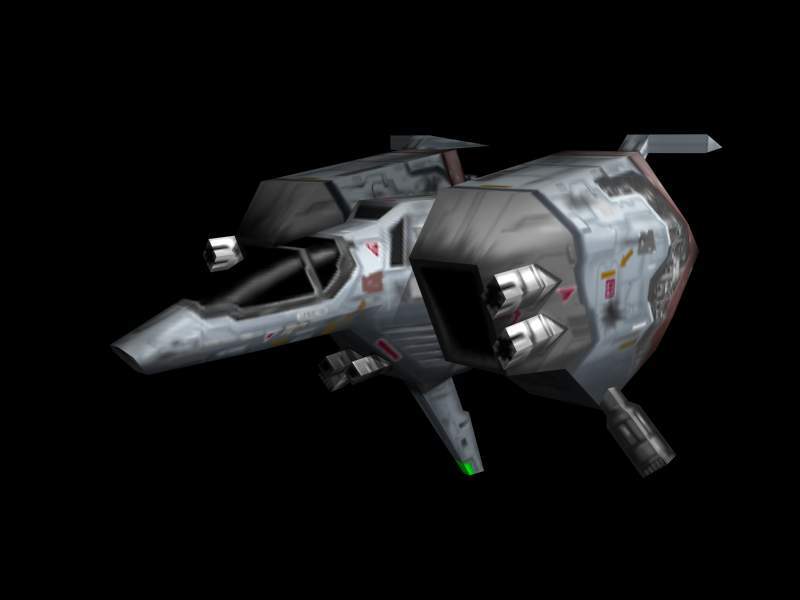 Description: The Kom'rk-class fighter/transport was a starship designed by rogue members of the MandalMotors corporation for use by the violent Mandalorian splinter-group known as the Death Watch. Taking it's name from the Mando'a word for "gauntlet", Death Watch's leader by 21 BBY, Pre Vizsla, owned a Kom'rk-class fighter during the Clone Wars, which he eponymously named Gauntlet, and made use of as his personal transport. Over sixty meters in length, and equipped with laser cannons and powerful engines, the Kom'rk was an able assault craft. Several Kom'rk fighters were stationed at the Death Watch's hideout on Mandalore's moon, Concordia. During a confrontation with Jedi Master Obi-Wan Kenobi in the second year of the Clone Wars, Vizsla ordered his Death Watch soldiers to evacuate the area aboard their Kom'rk-class fighters. However, the Death Watch returned to their base shortly after, bringing their Kom'rk fighters with them, waiting in preparation for a Separatist-backed conquest of Mandalore that was delayed due to the efforts of the New Mandalorian leader, Duchess Satine Kryze. 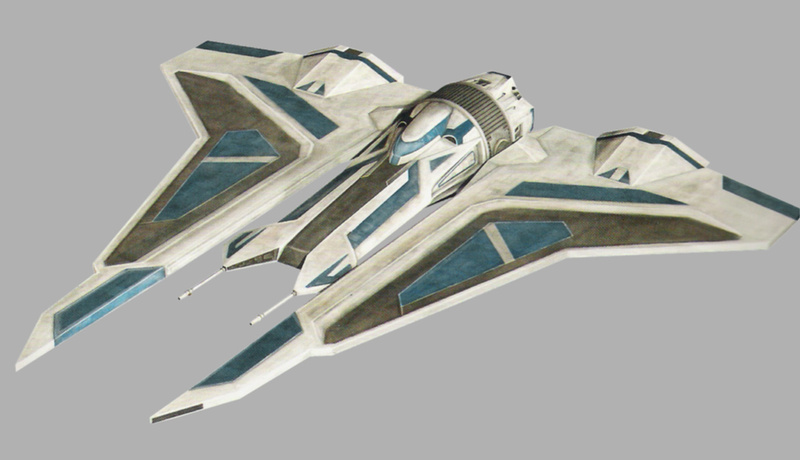 The Kom'rk-class fighter/transport was 68.1 meters in length, with broad, angular, rotating wings. These wings alternated between an upright landing position when grounded, and a horizontal configuration while flying in the atmosphere or space. 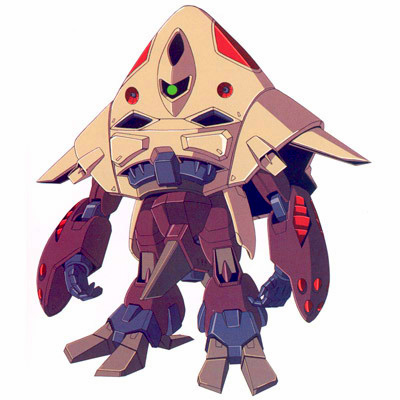 While in flight, the wings could also rotate around the vessel's main body, allowing for increased maneuverability. Designed and built by the Mandalorian starship company, MandalMotors, the Kom'rk-class fighter was equipped with twin, forward-facing laser cannons located at the nose of the main body. The starship also featured two rear engines for propulsion; these turbojets were designed to allow for rapid engine start-up. 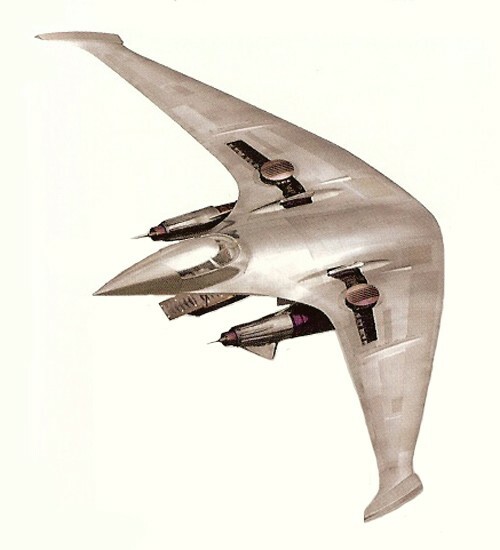 Though officially classified as a transport by its MandalMotors creators, the Kom'rk-class fighter/transport had little trouble living up to the second aspect of its name. Crewed by up to four beings, the Kom'rk's small size, its twin laser cannon armament, and its significant maneuverability, made the starship an effective assault craft. At some point in time, prior to 21 BBY the Kom'rk-class fighter/transport was designed and built for the radical Mandalorian splinter-group known as the Death Watch by rogue elements within, MandalMotors, a prominent Mandalorian starship company and driving force behind the planet Mandalore's economy headquartered in planet's capital city of Keldabe. By the start of the Clone Wars, a galaxy-spanning conflict between the Galactic Republic and the Confederacy of Independent Systems, numerous Kom'rk-class fighters had entered into the possession of the Death Watch. Their most recent leader, Governor Pre Vizsla of Mandalore's moon, Concordia, possessed a Kom'rk which he named Gauntlet, the Basic language translation of the Mando'a word kom'rk. At the Death Watch's secret base among the abandoned beskar iron mines of Concordia the Mandalorian renegades kept a number of Kom'rk-class fighters. These Kom'rk fighters were used to evacuate the base of its troops when Jedi Master Obi-Wan Kenobi discovered the Death Watch, on the orders of the sect's leader, Pre Vizsla. While his soldiers boarded their vessels, and the Kom'rk transports lifted off and away from the mines, Vizsla engaged Kenobi in single combat, managing to overcome the Jedi with the aid of a trio of his men. However, once the Jedi had fled, Vizsla and his Death Watch army soon returned, and brought their Kom'rk fighters with them. There, the vessels and their owners waited for the order to begin an attack Vizsla promised would allow the Death Watch to take control of Mandalore and destroy the dominance of the pacifistic New Mandalorian government. That order never came, due to the efforts of the New Mandalorians' leader, Satine Kryze, who was able to halt the Republic military occupation that the Death Watch would need to justify their actions in the eyes of the Mandalorian people. Copyright resides with LucasArts ltd.